Disclaimer: The Cayin N8 was sent to on loan and will be returned to Cayin shortly after this review. We thank Cayin for this opportunity. 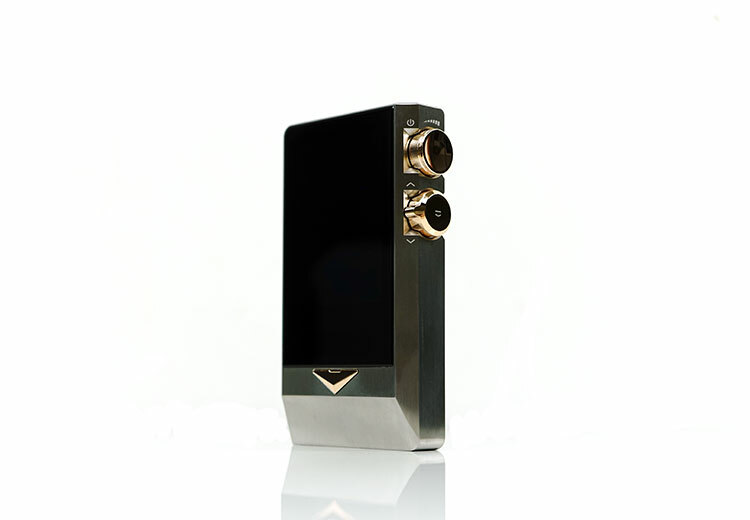 To learn more about Cayin products on Headfonics you can click here. You can also read our initial preview feature on the N8 here. There was a joke running around our local audio groups on what the last frontier could be for DAPs. Well, not so much a joke but more of a wishful thinking followed by a “Yeah, not in our lifetime” wry smile. The very idea that a set of tubes could be inside a DAP was both fanciful and lustful at the same time. And yet, here we are in 2018 and Cayin have more or less done that with their new flagship DAP, the N8. The joke is no more and at $3299 it is certainly no laughing matter. This is a statement product, a “money-no-object” package and a DAP that sits right alongside the Sony NW-WM1Z and the Astell & Kerns of this world in terms of who might buy this. At the same time, with the inclusion of the Korg tube technology, the N8 is offering something rather different to the current TOTL DAPS in the market today and dare I say it rather more ambitious. To call the N8 purely a digital media player would be rather wide of the mark in my opinion. It has a lot more to offer than simply taking your music on the go and plugging in a set of headphones. At a high-level, the N8 can also be considered a possible system component in much the same manner as the Hifiman R2R, for example. 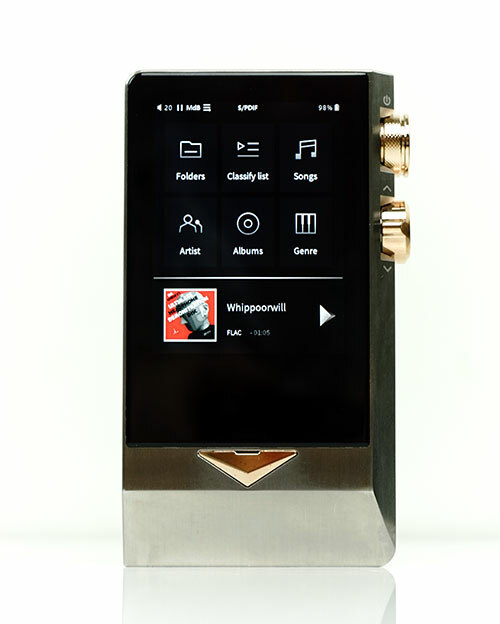 The design also negates the need to buy high-priced accessories to convert it into a system device as Astell & Kern would have you do with the likes of the AK380. Everything you need to use the N8 as either a portable device or a system component is right inside the box; either as part of the unit design and input/output functionality or in a wide range of wiring accessories to hook it up to your home system. Of course, it is a physical impossibility for a compact and electrically complex digital media player to house traditional tubes in any meaningful manner. In a way, our old jokes remain safe since the N8 do not have a pair of physical vacuum tubes sticking out of it. Instead, the big calling card has been the use of the Korg Nutube technology which works on the same basis as traditional tubes, offering the same vaunted “tube” sound but is designed in a totally different way. Critically, this is a design that will quite happily work inside digital media players using a unique spring-loaded suspension system designed by Cayin to eliminate microphonics. 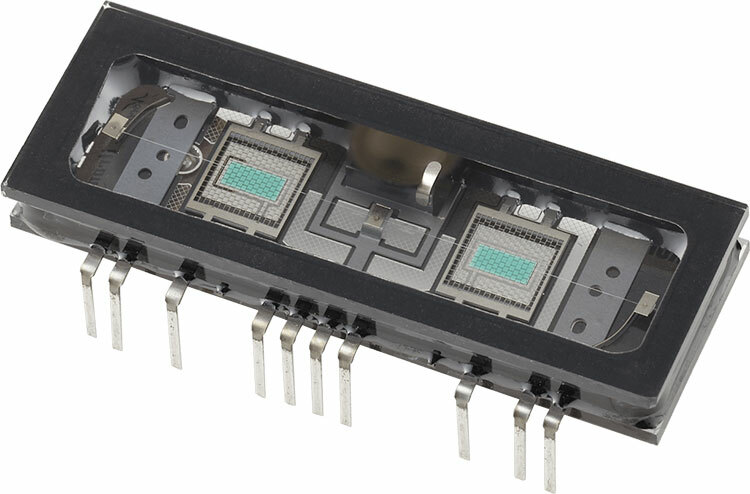 You can see from the stock photo above how the Nutube NP61 inside a DAP can become a physical possibility. This small flat piece of engineering actually has an anode filament structure and operates exactly as a triode vacuum tube would. More than that, the power consumption of the Nutube is approximately 2% of that of a regular tube making it a portable friendly design. You could be forgiven at this stage for thinking the N8 is all about the tubes. There is more than that with Cayin pitching a choice of no less than 3 different types of amplification. The N8 not only offers a tube stage but a solid-state alternative with circuit designs for both balanced and unbalanced SS outputs. To make the experience more involving, aspects of their legacy design from the iDAC-6 or the ability to differentiate power output from low to high impedance is also available on the N8. 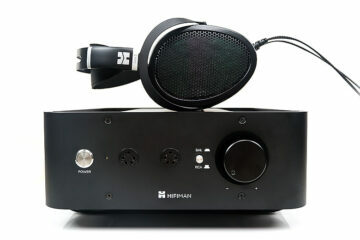 The introduction of a what Cayin calls a High² (High Impedance High Output Mode) option will allow the N8 power supply to ramp up to deliver more output wattage the higher the headphone load. I did mention the N8 was more than a DAP and that everything you need to go either portable or desktop was right in the box. The N8 can go system analog with some proper hifi line-out voltage numbers (2.1V unbalanced and 4.31V 4.4mm balanced). It can go digital integrated with both USB-C and SPDIF outputs as well as I²S output for those systems that have it. For wireless, Cayin has beefed up the N8’s Bluetooth capability with aptX and just recently added LDAC capability. It also features HiByLink which allows the N8 to wirelessly sync with any device that has the ability to receive a BT signal as well as allowing remote control via a smartphone. If you plan on integrating the N8 into your system then you can remote control it via your smartphone much like a CD Player or AV receiver. The N8 is a fairly hefty beast though not as heavy as the Sony NW-WM1Z weighing in at 380g compared to 454g for the 1Z. The 1Z is also wider at the top due to its bulging jack ports but slimmer at the bottom. The N8 is just marginally longer than the iBasso DX200 but thicker. If you are used to strapping the AK380 to its connected amp it is about 30% less deep than that combo though much bigger in all directions compared to the AK380 on its own. You can operate the N8 in one hand though. It is not so long or wieldy to require two-handed use. The corning on the N8 is also smooth enough to avoid physical comfort when handling and there is an enhanced curvature on the left side of the N8 base for additional handling comfort. I would recommend slipping on the N8 supplied leather case for additional grip as the SS body of the N8 is a little slippery in sweaty hands. I need to differentiate build quality from the design at this point because the design will polarize whereas the quality of the materials used should not. The design is very much in line with Eastern thinking and for someone who has spent the last 12 years in the East, I can tell you that the N8 design flow is in sync with design preferences of the region. The choice of materials and finishing will resonate as a TOTL device. Gold finishing for many here is a sign of how expensive something is at a glance. For a Westerner, it may seem on the gaudy side with its flashes of 24k gold and the thick stainless steel PVD coated chassis contrast. I get the other side of thinking also. When you compare it to the slick curved uniform design of the Sony 1Z or the futuristic shaping of the AK DAPs it comes up a little short in the harmonious aesthetic factor. Whether you like the design or not the build quality and finishing of the N8 is just excellent. It feels incredibly solid with an almost retro style aesthetic to its PVD coated stainless steel housing. 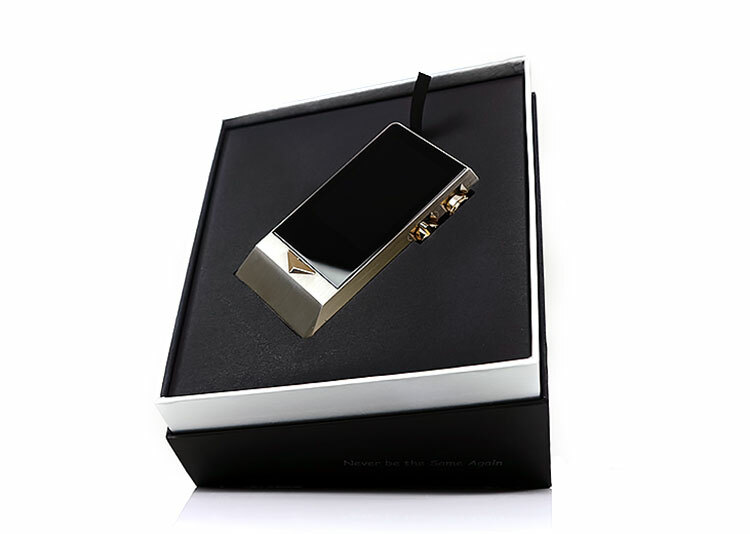 The volume and command dials 24k plating is very evenly applied with zero blemishes on it or the command button just below the LCD screen. Labels on the N8 are etched into the metal rather than printed to prevent fading over time. The rear panel of the N8 is a custom fit Corning Gorilla 3 (AF and DLC coated) curved glass back panel. It is finished in a black gloss paint rather than the more typical carbon fiber finish or patterned finish you find on the old N6 or the AK380. The glass looks pretty solid but it also acts as a more porous shield for better Bluetooth signal transmission. It will retain a few fingerprints here and there during handling but nothing that a quick wipe with a cloth will not clean up. When I was taking the photos of the N8 I also found that rather than leave a load of ugly fingerprints on the SS body, it sort of darkened the spots temporarily where my fingers rested. For some weird reason, I found that smudgy look appealing, strange as that may seem. It reminded me of the nickel alloy aging effect on ALO Audio’s RX and V5 portable tube amps of which I am a big fan of. The N8 uses a 3.2″ IPS touchscreen with a 480×360px resolution which in 2018 may seem a little on the conservative side when compared to the likes of the AK SP1000’s 5″ 720x1280px or even the more modest DX200’s OCA-bonded 4.2″ IPS Screen 768x1280px screen. This is virtually the same LCD screen used in the $230 HiBy Music R3. I liked it on the R3 combined with the 2.5D glass but my expectations are much lower for the R3 given its price point. The LCD resolution a little on the low-res side for me at this price point and surrounded by an enormous bezel. The viewing angle, however, is actually very good and you should have no legibility issues using the N8 screen. The glass coating on the top of the LCD is actually a very nice finish with a slight curve to its edging so it is not completely flush. I do not think this is 2.5D glass such as you would find on the HiBy R6 or the R3 but it is reasonably close. The capacitive responsiveness of the N8 LCD is excellent. I have no issues there whatsoever in general use in terms of how quick it responds to my touch gestures. The only time I found any delays was more due to the longer buffering of large OTG connected hard drive media lists which is not a screen-related issue. I had asked Cayin which such a smallish screen for the N8 given the competition and modern user demands that seem to place great value on high-quality large LCD screens. They did indeed think of putting in a much bigger screen. However, the problem of doing so was related to how the chassis design accommodated the Nutube at the lower end of the N8 housing. Extending the screen would have made the device to thick as well as hiding the LED light to signal the NuTube is operating. When you activate the Nutube you can indeed see a small 2-bar glow in the thick black bezel just below the LCD screen. There are three types of control systems implemented on the N8 and it is fairly consistent with most modern DAP control platforms. The first is the 3.2″ touchscreen where you can pretty much do everything except initiating volume control. 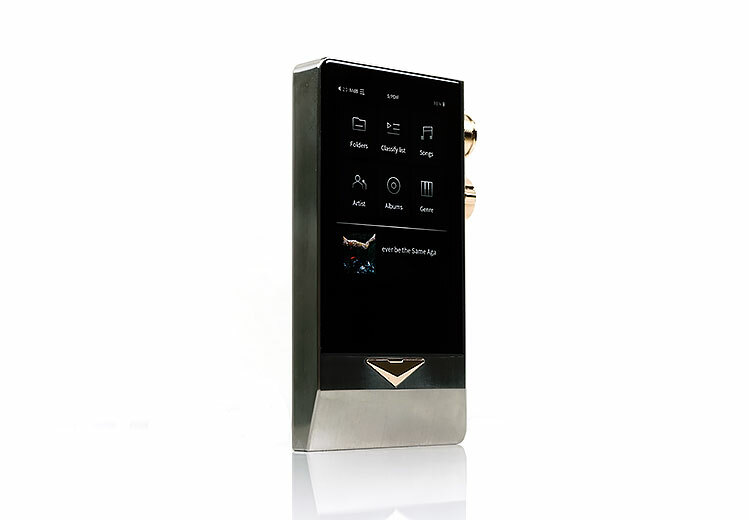 You can however increase or decrease volume control via the touchscreen once initiated via the physical dial. The only other function set excluded from the touchscreens command repertoire is the ability to power the N8 on and off as well as turn the LCD screen on and off. The second mode of control is physical-based via two command dials to the top of the right-side panel and the arrow-like button just below the main screen. You can’t miss them, these are the ones coated in that 24K gold plating we mentioned earlier. The arrow-like button to the base of the screen has two commands only. The first is a short press to take you directly to the playback screen from whoever you are in the OS. The second and a slightly longer press will take you back to the home screen without interfering with playback. The top-right dial covers volume, power on and off and LCD screen on and off. The second command dial just below controls all playback features including play, pause, fast forward, reverse, track back and track forward. A small paddle on the top allows you to exert a precise control on how far you want to fast forward or rewind on each track. The top dial has no such paddle opting instead for a pimpled finish to enhance the grip. Personally, I think the grip area could be a little, well, grippier than it is now. It still feels a little too smooth for my own personal preferences. Both dials are inset into the main SS body for an element of protection but the one concern I have is the degree to which the top button protrudes out of the body. Since the power/screen on and off is a pressure-based insertion motion it does seem quite easy to accidentally turn it on or reboot it if you are not careful. The flipside is that if you are using it as system component is super easy to operate without having to lift or move the N8 off any shelving. The N8 supports BT4.2 which means you can connect to more than two wireless sources such as a smartphone and PC and stream directly to the Cayin N8 and control playback and volume via your sources. You can also use the HiBy Music app and their HiByLink option to control your N8 remotely via a smartphone. This includes features such as media scanning and media management, as well as volume and playback control. This aspect is super handy if you are using the N8 in a system set up though be warned that a traditional BT LDAC connection while using HiByLink is not possible with a smartphone so LDAC quality playback is not assured. It is possible to activate developer options if you are using Android and set LDAC manually but again, no assurances. You can control the 4.4mm TRRRS balanced jack functionality via the OS drop-down menu bar where it offers you the option of PO or LO. Just watch you do not have headphones in the 4.4mm jack when you switch to LO as you will be hit with 4.3V of max power. USB-C port for charging, USB-DAC functionality, OTG as well as an interface for the Cayin N8 accessory USB-C cable kit which includes a USB-C to 3.5mm and a RAC Coaxial Adapter for S/PDIF coaxial output. The SPDIF output, like the balanced 4.4mm LO, is controlled via the OS. 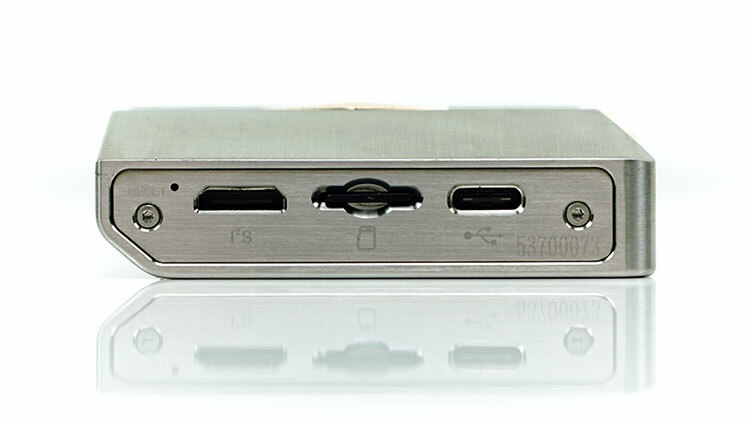 It is important to note that Cayin’s USB-C implementation is not the same as regular smartphone USB-C type ports on the N8 have 2 additional pins activated to allow them to function smoothly for SPDIF and OTG digital audio signals. You will find those cables inside the accessory pack of the N8 box so do not panic! For data transfer/charging and USB-DAC, you can use any USB-C cable. 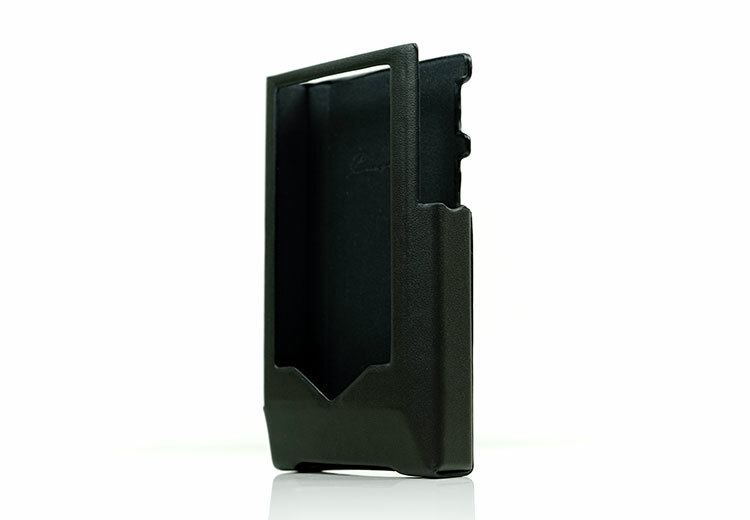 The Cayin N8 has an onboard memory capacity of 128GB which is only 50% of the competing Sony 1Z and AK SP1000 capacity. There is also only a single microSD slot but there are no theoretical limits on how big a microSD card you can put in there. If you are somewhat disappointed by the 128GB onboard you have to remember the story I told way back with the N3 in 2017. Storage access to music is not purely from the internal hard drive or the microSD slot but also OTG. Thankfully you can slot in a powered external HDD or flash memory card and further expand via a regular USB-C OTG cable You can use a micro-USB OTG cable also with a USB-C adapter which tends to work out plenty cheap and I have a few of those lying around. Using an 8GB cheapo flash drive the N8 had no issues picking up the card and the contents inside (around 30 16BIT/44.1k FLAC tracks). At that size, you will have zero buffer issues and playback should be near instant. Once you start loading up much larger multi-TB drive libraries the access time will be a bit longer on the N8. Inside the N8 Cayin has slipped possible the largest battery ever to be inserted into a ‘portable digital media player’. No less than a 3.7V 7000mAh Li-poly battery is packed inside and does account for some of that girth and weight as a result. Before you start jumping up and down at the thought of endless hours of fun, that big battery is there for a reason. The N8 tech inside, combined with the amp staging output power/voltage and the plethora of wireless connectivity options means that it eats battery juice for breakfast. On paper, you get just 8.5 hours with the unbalanced 3.5mm tube output and 9.5 hours with the solid-state unbalanced output. Balanced numbers are competitive given the additional power at 9.5 hours. All numbers drop by an approximate hour off the lead time once you go into High² mode. Compared to the AK SP1000 12 hour rated life cycle the N8 has marginally less battery life when comparing its solid-state numbers. The tube numbers really bring the N8 battery life down but it is perhaps unsurprising given the Korg tech inside. It will be interesting to see if anyone can improve on that if competing Korg-infused DAPs come out. Of course, it completely pales in comparison to the Sony 1Z’s whopping 15-20 hour (mix of Flac and DSD) average battery life. Granted, the charging time is much longer at 7 hours but if I am going to trade shows all day and testing gear it is the Sony that has traditionally won out because I need the DAP to last for 12 hours. The N8 will not give me that which is a shame because tonally I prefer the N8 by a country mile. On a fast charge (USB-C) the N8 takes around 4.5 hours for a full charge and 6.5 hours using a regular 5V 2A charging connection such as your PC USB port. That is technically not that slow. Remember, you are charging a battery twice the size of a lot of other DAPs in the market and compared to the Sony 1Z it is almost twice as fast. Note, N8 supports QC2.0 only. Other Quick Charge technologies such as PD and QC3.0 are not supported. If there is one thing that disappointed me when I slapped down something like $2500 on a brand new Sony NW-WM1Z it was the lackluster packaging and accessory line-up. It didn’t feel premium, felt like any regular Sony retail presentation. That is not a bad thing, they are solid pros at this presentation thing but it just lacked the wow factor. The Cayin N8 retail packaging and the accessory line-up is the complete opposite of Sony. I would not classify it as being as subtle as the AK SP1000 wooden box ensemble but it does have a style of its own that is in keeping with the TOTL pitch. The leather case is quite good this time from Cayin. The original i5 leather expanded and generally loosened up to the point where it slid out of its own volition. They tightened it up on the N5ii to the point where it was almost too tight. This lies somewhere in-between being soft to the touch but generally a snug enough fitting that feels secure with the N8 in it. 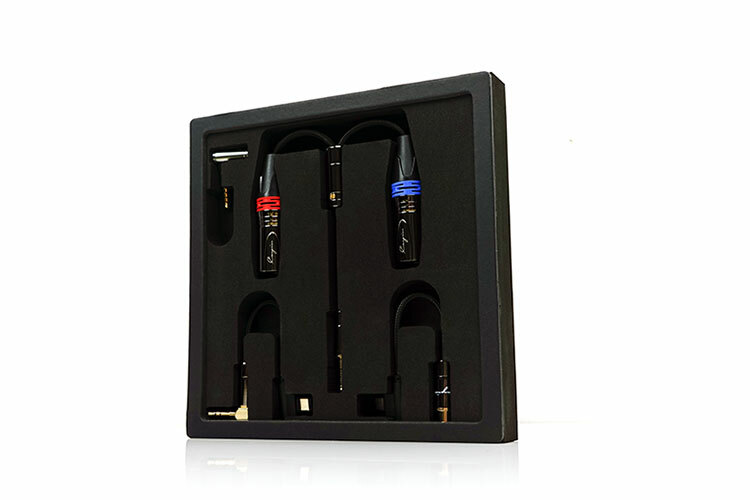 The cable line-up, in particular, is off impressive quality with soft nylon jackets wiring, chrome finished barrels and gold-plated jacks. There really is almost everything here you need for portability, system integration both analog and digital. Nitpicking? Why yes, thank you very much. A 3.5mm to dual RCA cable for single-ended amps would be the icing on the cake. Umm…I had it, Sound is too nice. But this product has some problem. For example, side buttons are easy to rust, floated back panel. OK got it, let me test that over the weekend before I sent the N8 back to Cayin as it might need time to establish if it does what you say the app does. For the DX200 HPA-01M setup you get a very neutral and fast sound out o the current mode setup, with the voltage output you get more body in the low-end and of course plenty of power so it sounds pretty optimal to me as solid state sounds go. With the N8 tube output it is a lot warmer, slightly softer and slightly slower but still optimal in terms of staging. I have a slight preference for balanced and solid state for the LCDi4 out of the N8 just to give the mids a bit more zip and I also tweak the EQ on the N8 to push forward the vocals a little more but thats my own preferences. Thanks David. I don’t really use shuffle, not ever. I sort of think how you described it sounds truly random to me lol.. is there a method in the madness? What do you mean by a dynamic queue? Appreciate the thorough review! Does the HibyOS implementation mirror the Hiby Music app for Android? Specifically, (1) Does it have a dynamic queue? and (2) Does shuffle work properly or does it pick tracks completely at random, sometimes repeating tracks before having played each track once?